According withdrawal with immediate effect in a few days in the circuit of the biathlon men. After Alexis Boeuf also another athlete relatively young, but long since collapsed nell''anonimato as Serguei Sednev decided to hang the rifle to the nail. The 'Ukrainian chose the very day of his thirty-first birthday to announce the decision to close his career, saying he could not pi & ugrave; find reasons due to repeated ailments that prevent him from training properly and then get the results of the past. 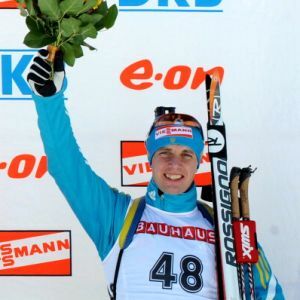 Sednev has garnered a win in the World Cup, for the truth & agrave; in a race with many absences, January 21, 2010 in Antholz, going up three times on the podium and being part of the Ukrainian quartet won the bronze medal in the relay race of the World Cup in Khanty-Mansiysk 2011. This is the second sudden withdrawal within all''Ucraina male after that of Andriy Deryzemyla, which occurred just before dell''inizio season. Instead during the spring and 'summer had decided to end their career Olexander Bilanenko and Roman Pryma.